C8-80-15 vertical wire stockfence in either 50M or 100Metre rolls, although we have ordered it in 300 & 500 metre rolls as well. Some people call this netting sheep netting or pig netting. You will also see we supply high tensile stockfence, this is to get a very tight finish and special staining tools are required to do this. However, it is possible to get the mild steel netting reasonably tight by hand. C8 means there are 8 horizontal line wires. The 80 means it is 80 cm high & the 15 means it is 15cm between each vertical wire. Another product we sell is mild steel / smooth wire and high tensile smooth wire. Rabbit netting can be clipped on to this or it can be stapled along the top of rails to stop horses chewing them. The thinner diameter wire (2.5mm) can be electrified if needed. Standard smooth wire, whether it be mild or high tensile, usually comes in 25kg rolls rather than by length. The 3.15mm gauge usually has 300 metres on a roll and the 2.5mm usually has 400 metres on a roll. 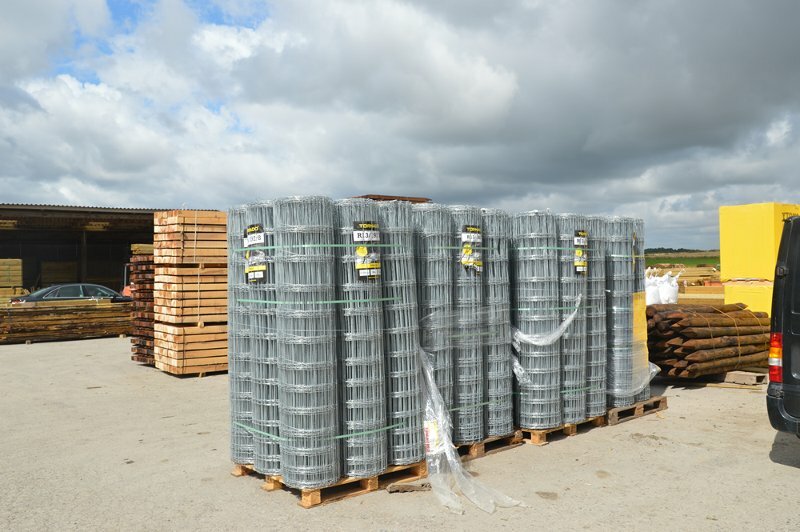 All of our wire is heavily galvanised to British standard. As well as all of the products below we are always getting special orders of wire in.